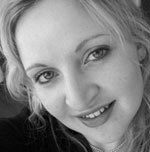 As a choral scholar at King's College, London, Aimée Green studied music and now enjoys a busy career as a teacher and singer. She enjoys performing Early Music as well as modern choral works, and has performed and recorded with a wide variety of ensembles, namely The Sixteen, Chapelle du Roi, Oxford Camerata, The King's Consort and The Brabant Ensemble. She featured as the guest vocalist with saxophonist Christian Forshaw on the album Sanctuary in 2000 and has also performed and recorded as a backing vocalist for Robbie Williams, Kylie Minogue and Madonna. She is Director of Music at Kingswood School, Bath, and sings and plays the violin and harmonium in Bristol-based folk duo The Coarse Envelope.